Given the global and economic burden of stroke as a major cause of long-term disability, patient-reported outcomes (PRO) data from clinical trials can elucidate differential benefits/harms of interventions from patients’ perspectives and influence clinical decision making in stroke care management. 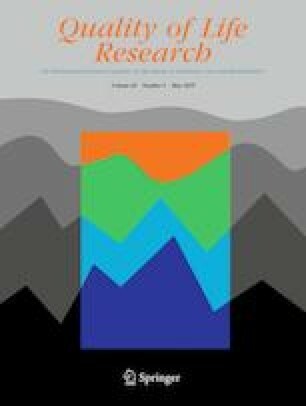 This systematic review examines stroke-related randomized controlled trials (RCT) published in 12 high-impact journals between 2002 and 2016 for (1) associations between trial characteristics and the reporting of PRO measures; and (2) psychometric properties of PRO instruments used in these studies. The study combines clinical trials identified in a prior review with trials identified with an updated literature search. Only 34 of 159 stroke-related RCTs reported PRO measures. Among the 34 trials, most were published in rehabilitation and general medical journals, were conducted in the United States or Europe, were funded by government/non-industry sponsors, and focused on post-stroke care. Thirty-one PRO instruments were employed in these studies. Only 5 instruments were stroke-specific measures, whereas the remaining 26 instruments were generic measures. Eight instruments assessed functional status, 9 measured quality of life, and 14 assessed symptoms. The most common health domains measured were emotional status and physical function. This study highlights the paucity of information from patients’ perspective in stroke-related RCTs. This trend may change over time as researchers increase adherence to reporting guidelines for clinical trial protocols. The online version of this article ( https://doi.org/10.1007/s11136-018-2053-7) contains supplementary material, which is available to authorized users. The staff of the Ochsner Medical Library conducted the literature search. Jeffrey Burton, PhD (Ochsner Center for Applied Health Services Research) conducted the descriptive statistics. Richard Zweifler, MD (Ochsner Neurology Stroke Center) conducted a review of the manuscript. Abstracts of this work were presented at the 2017 Southern Society for Clinical Investigations regional conference and 2017 International Stroke Conference. None of the authors have financial disclosures or conflicts of interest to report with this study. Food and Drug Administration. (2009). Guidance for industry: patient-reported outcome measures: use in medical product development to support labeling claims. U.S. Department of Health and Human Services. Retrieved 19 March, 2018, from https://www.fda.gov/downloads/drugs/guidancecomplianceregulatoryinformation/guidances/ucm193282.pdf.